Laugh riot is one way to put it. Perpetual motion is another. But impactful is the right term to use when looking for a definition to describe Dennis Du Pont. Working in sales, marketing and management for 25 years, Dennis has the bloody nose to prove he knows more than just funny. He knows success! Combine that with 15 years on stage as a national speaker and performer and your people will benefit from a fusion of knowledge and practical experience; creating a process of learning that is not only positive, fun and unique, but most importantly effective, in helping to hit your goals and beyond. Starting in radio and television advertising in 1981, Dennis’ evolutionary path has taken him through the doors of corporations as large as over 100,000 people, and as intimate as, you guessed it, one. 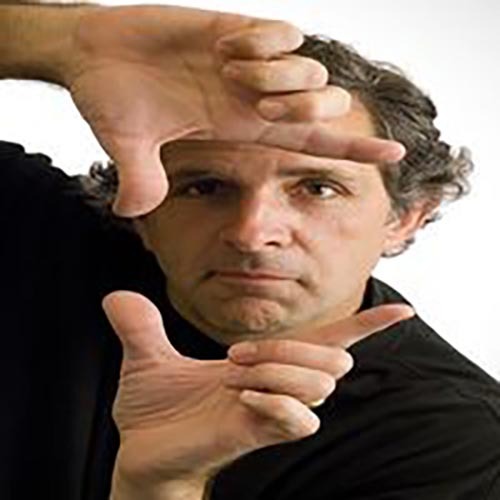 Starting in the clubs in 1986, then joining nationally renowned ComedySportz in 1997, Dennis has developed his craft as an improv specialist, performing in over 1,200 shows and counting. He has made folks laugh from coast to coast, as well as abroad, including the Middle East (and if you can make someone laugh there, well…). His infectious spirit, uproarious ad-libs, and pinpoint, poignant, profitable message have endeared him to companies and individuals alike, helping them to find the fun in what they do – and to find their advantage. With an upbeat style that allows people to feel abundantly comfortable, Dennis creates an environment in which people are safe to step out of their bubble and truly explore how to grow as a professional. In a group of 25, or 2,500, you can count on Dennis to bring the laughs in a keynote, stand-up or emcee role. We’ve all had our moments of embarrassment; those times when we’re not exactly proud of how we acted or who we offended. It is a common trait we all share, but may not be willing to share with others…unless you are Dennis Du Pont. A master story teller, he weaves in and out of the fabric of his own life to display a tapestry of what not to do, what to do if you’ve done what you shouldn’t have, and what those around him did do, or could have done, better as well. Perfect for those involved in customer service or dealing with anyone in any way, shape or form, Dennis has the ability to laugh at himself, as you laugh right along with him. Designed for an audience of 30 or more… When struggling to get a point across, we’ve all wanted to throw our hands in the air and say, “I give up! !” Communication is not easy. Good communication is even tougher. No matter who you are trying to connect with – client, colleague, supplier or spouse – your success is directly tied to your communication. Through rollicking improv exercises, Dennis leads your people to new levels of listening, trust, discovery and opportunity. His enthusiasm and attention to detail make this interactive seminar a must for those companies looking to build stronger internal – and external – relationships. I’m Actually Creative! Who Knew?! Designed for a group of 30 or less… The words Team Building have gotten a bad wrap, thanks to trust exercises that have you building a paper airplane or hugging Larry in Accounting. The inventive exercises Dennis brings to the room are much more innovative than throwing a ball to a co-worker, and can link any personnel, from all divisions and departments. Additionally, the tools he shares with your people foster open communication and flexibility, while displaying the right time to lead and the right time to follow. This session allows for all participants to step-foot safely out of their bubble, while creating the trust necessary to facilitate the cooperation people need to cultivate a win-win. In finding the right “act” for your annual conference, quarterly meeting, client dinner, or in-house retreat, you walk a fine line. You want funny, but need to avoid: dirty, bland, off-color, humdrum, vulgar, banal, coarse, flavorless, watered-down entertainment. Good luck with that. There aren’t a lot of us out here that provide targeted and topical talent with tact. Or hire out his LOL Improv Troupe, an energetic and invigorating experience where your people drive the funny. Any choice will leave your people laughing around the ‘water cooler’ for months to come. Comedy at its most pure form, this show can provide an outstanding reward or distraction. It also serves as a great marketing or branding tool.